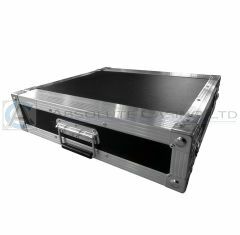 Our range of Rackmount Flight Cases are built to withstand impact throughout travelling & touring. High quality materials and furniture ensure that our rack flight cases are heavy-duty and protective. Rack flight cases are ideal for ensuring that electrical components stay organised and secure. We also offer a range of shock mounted rack cases that provide shock-proof protection for your items, please click here to view this range. Please note: we do not keep stock of our flight cases. 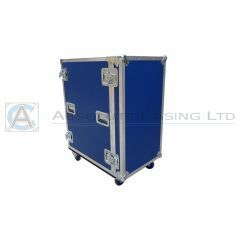 All flight cases are made to order to ensure that they perfectly fit your requirements. Please contact us for an accurate lead time. 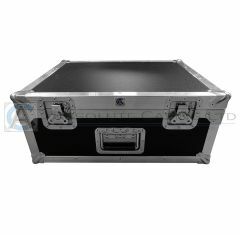 We have a range of sizes available in our rack flight case range, but we also offer custom flight cases. 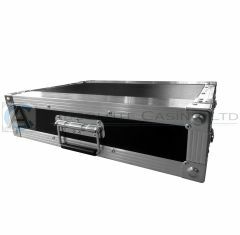 If you cannot find a rack flight case that suits you, please feel free to contact us and discuss your casing requirements so we can create a custom design for you.